Leicester and Nigerian forward, Ahmed Musa is considering legal action after his agent described reports that he was arrested for beating up his wife on her birthday as “inaccurate”. The Nigeria international, who joined the Premier League champions last summer from CSKA Moscow for £16m, was questioned by Leicestershire police in the early hours of Wednesday morning after they were called to a disturbance at his home in Countesthorpe. 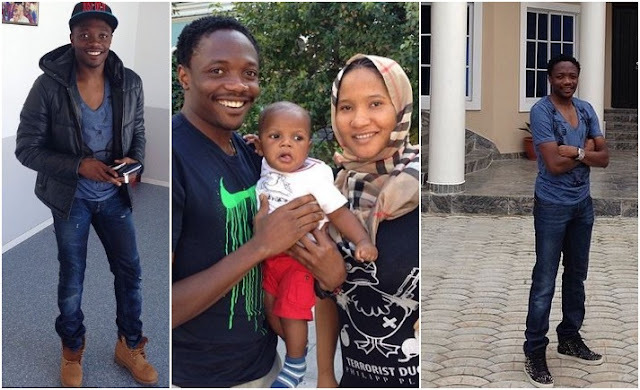 Musa was later released without charge and his agent has insisted reports of the 24-year-old’s arrest hours after he had wished his wife Jamila happy birthday on Instagram had been exaggerated. “A row ensued between Musa and Jamila which drew the attention of neighbours and the police were notified,” said Tony Harris. “The police duly spoke with Musa along with a couple of witnesses in the house and have since closed the matter with no further action whatsoever as there is no case to answer. No charges were brought against Musa or his wife. Musa is understood to be very upset about the reporting of the incident and has been in touch with his legal representatives to discuss potential action. A statement from Leicester on Thursday said that Musa would be asked to explain what happened when he is due back in for training on Friday. Musa has not started a Premier League match for Leicester since the 3-0 defeat to Manchester United on 5 February having fallen down the pecking order under new manager Craig Shakespeare.